Salt is tired of the old ways of doing insurance. 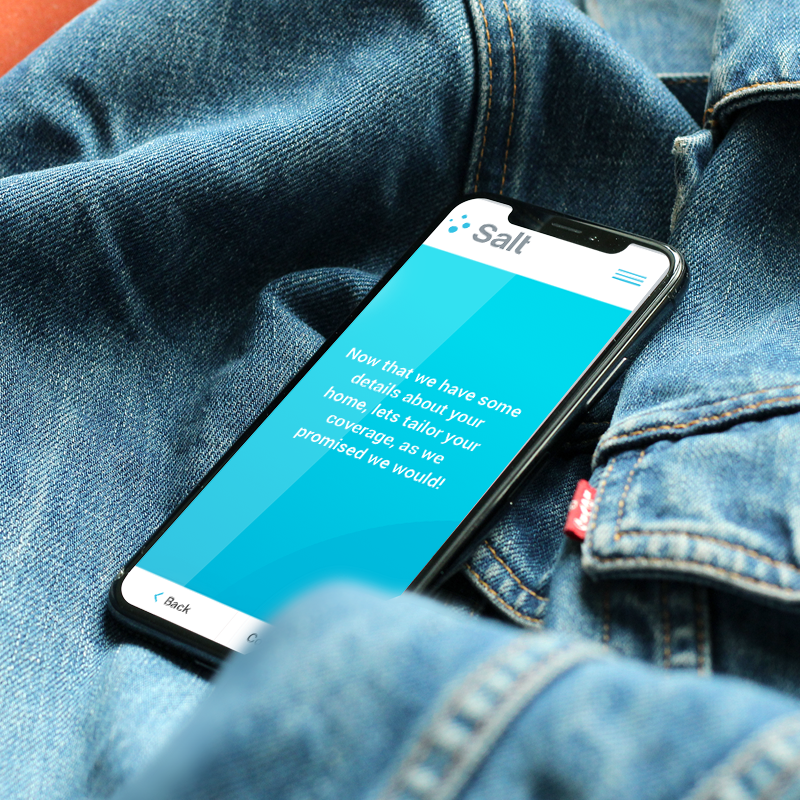 From having to call countless agents just to get a couple of quotes, to filling out multiple “instant quote” generators that simply lie to you, Salt is here to change all of that by offering customized insurance straight to your inbox. Salt is simple and efficient. We want to help people get tailored quotes without having to worry about doing all the heavy lifting. In four easy steps, we help you get the best, most tailored coverage for you. What’s important to you? Do you need homeowners insurance? Are you looking for renters or auto insurance? How many vehicles do you own? We get to know you well enough to have a beer with you, or well…maybe just well enough to buy your insurance for you. Once you’re done going through our questionnaire, we roll up our sleeves and talk to a variety of carriers who partner with us to help find you competitive rates. We only partner with the best, so expect to see the hot shots like Progressive, State Auto, Travelers and Safeco among our ranks. We wheel and deal with our partners to get various quotes, real quotes, none of that “instant quote” business. Once we’ve gathered a variety of quotes, we look at them to find the best bang for your buck. Imagine that, we give you back valuable time while offering our expertise, for free. That’s right, your eyes are not deceiving you, we email. We don’t call. We don’t set up a meeting to discuss your policy. You don’t even have to sit with a crusty old agent who doesn’t care and is just looking to take your money. We care. Time is money and we value that. You can call us if you have questions, but we’ll keep our distance if you don’t need us. Once you’re ready to seal the deal, just let us know and we’ll put a ring on it. Celebrate. Make it FBO. Whatever you want to do. A key benefit of using Salt is that we don’t just sell you a quote and leave you hanging. Every year, we ensure your prices don’t creep up. If they do, we negotiate or shop again, so you never have to overpay for insurance again! So what do you say, are you ready to get Salty? Get covered today!